The horror movie Hell Fest is an entertaining slasher flick, but it didn't exactly set the box office on fire. Pulling in around $17 million in ticket revenue, the movie clearly didn't reach a level of success anywhere near the level of other genre films this year like A Quiet Place and Halloween. Still, the movie was profitable, produced with a budget of less than $6 million. 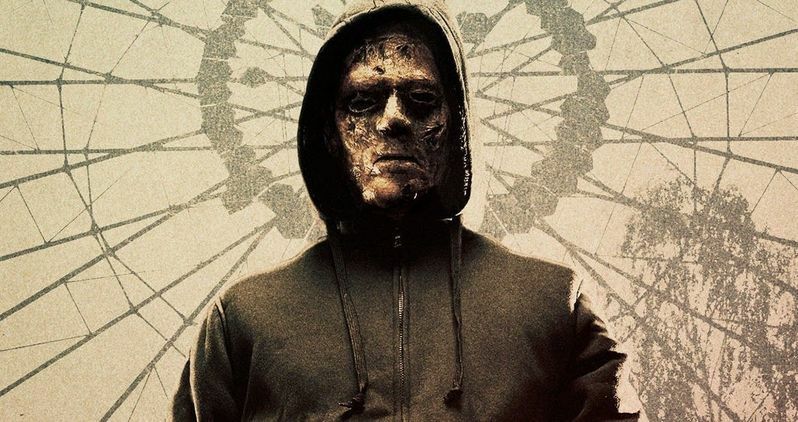 It's unclear if producers would be willing to invest in a sequel to the movie, but should that decision be made, director Gregory Plotkin is more than willing to expand the Hell Fest story in a follow-up film. Better yet, he intends to bring back star Tony Todd, further exploring the mysterious carnival barker played by the iconic horror legend. "I'm not sure the box office was what people were hoping for a sequel. Everyone's been so wonderful from CBS, Lionsgate, Gale [Anne Hurd]. We have a lot of ideas. I think this is a character that we want to explore. I really want to explore Tony Todd's character [and the fact that] he owns this place more. Tony is just a phenomenal person and a phenomenal actor. He and I had a lot of conversations about it. And there's this whole idea of that mask room was kills that he's done in years past. I have thought through quite a few fun new kills we could employ and some different scenarios. Six or seven years ago, these parks were not as elaborate and intricate as they were today. We have a lot of different geographical locations where we could stage a park. If we're lucky enough to do it, I would love to. But, unfortunately, it's not in my hands right now." As explained by Plotkin, the box office performance may not have been what producers were hoping for. Even if the movie made a profit, there's no assurance a sequel would be able to do the same. Still, movies like Halloween are helping to restore the popularity of slasher movies, and the concept remains a possibility. After all, what could pay homage to classic slasher movies more than having multiple sequels made? Another Halloween movie is reportedly in the works, the writer of New Line's next A Nightmare on Elm Street reboot says he's still working on the script. Anything is possible, and it's nice to know that Plotkin and star Tony Todd are both on board should a sequel be produced. Horror fans will mostly remember Todd first for his performance as the titular villain in the Candyman movie series. That franchise is also seeing a reboot going into production from Get Out director Jordan Peele. Featuring a modern take on the classic story, there's no word yet on if Todd will be involved with the movie in any capacity. Meanwhile, the actor remains very active in the acting scene, and roles like the character he plays in Hell Fest show he has so much more to offer in the genre. For his fans, a sequel to the movie may be better than the first if it's given the opportunity to bring the Barker to the forefront of the story. In Hell Fest, a group of teenagers are targeted by a masked serial killer when they attend a traveling horror theme park. There are performers at the park participating in staged kills, blurring the lines for spectators as to what's real. This makes for some creative kills, with Plotkin already brainstorming ideas for ways to explore that further. Although his screen time is limited, Todd's voice can be heard announcing the various attractions in the park. Joining him in the cast are Amy Forsyth, Reign Edwards, and Bex Taylor-Klaus. Hell Fest is now available to be watched via digital platforms. The movie will be arriving on 4K, Ultra HD, Blu-ray, and DVD on Jan. 8. Like many slasher movies from years past, perhaps Hell Fest will fare better with its home video release, prompting the movie to get the sequel its director really wants to see happen. Plotkin's words come to us from Daily Dead.